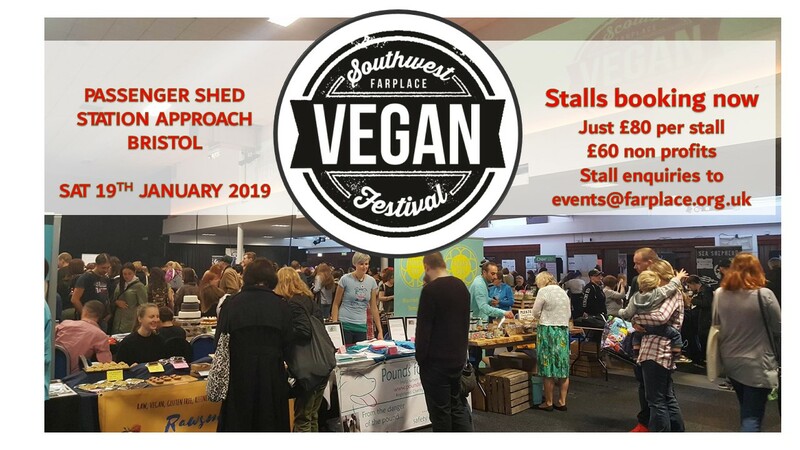 The SOUTH WEST VEGAN FESTIVAL, back at the Passenger Shed after a packed event in 2018. Stall bookings open now – email events@farplace.org.uk . All in aid of Farplace Animal Rescue.